You might want to hold on to your 360. Despite lasting the best part of half an hour, Microsoft's Xbox One (which we're definitely calling the "Xbone") reveal was short on actual info, games and anything that didn't involve ancient blokes in identical casual suits spouting buzzwords. Tellingly, it didn't answer the three most pressing questions that have dogged the new console since rumors of it first began: Is it always online, does it block used games and does it have backwards compatibility? The first two are still up in the air (it's now looking like the console may not require an online connection but there may be some anti-used games shenanigans going on), but according to the Verge, the console is definitely not natively backwards compatible. Microsoft's corporate vice president of Xbox Live, Mark Whitten, says this is down to the Xbone's hardware architecture, which is a apparently a radical departure from the 360s setup. "The system is based on a different core architecture, so back-compat doesn't really work from that perspective," he explained. This is processor-level incompatibility, so it extends to all 360 games, disk-based or otherwise. While hardware buffs might see the change as necessary, many see backwards compatibility as an easy way to bolster a console's library during that difficult first year on the market. Microsoft claims there'll be at least 15 exclusive Xbone games on the market by the end of its first year, eight of which are supposedly new IPs. Account for a handful of Kinect 2 titles and you're not left with many games for core gamers. Not all is lost, however. 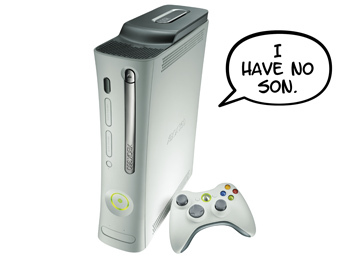 The lack of native backwards compatibility doesn't prevent Microsoft from putting some kind of emulation system in place like it did with the 360. That system was finicky and woefully incomplete, but it did allow me to play Crimson Skies. Kind of.